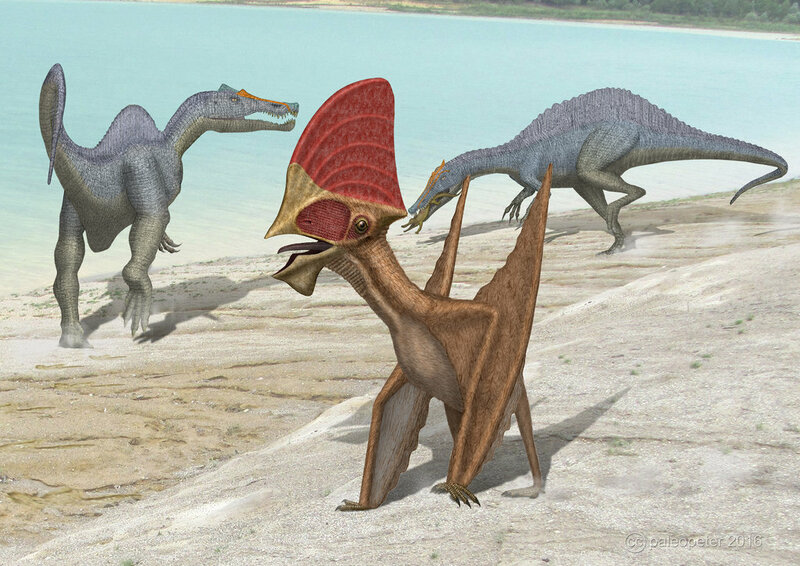 Tapejara is an extinct pterosaur which lived approximately 120 million to 100 million years ago – from the Early Cretaceous Period through the Middle Cretaceous Period. 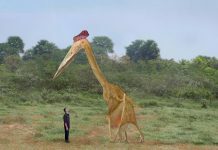 It was first discovered during the 1980s and was named in 1989. Its name means “old being” in Tupi. If there is one thing that Brazil is known for, it’s the many different species of colorful birds which populate the country. 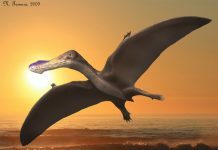 And evidently, this country had quite a history of having colorful flying creatures in its skies because it was also home to Tapejara. 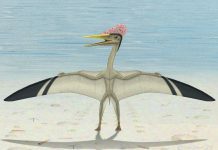 As you can probably see from Tapejara pictures, this pterosaur was very colorful. 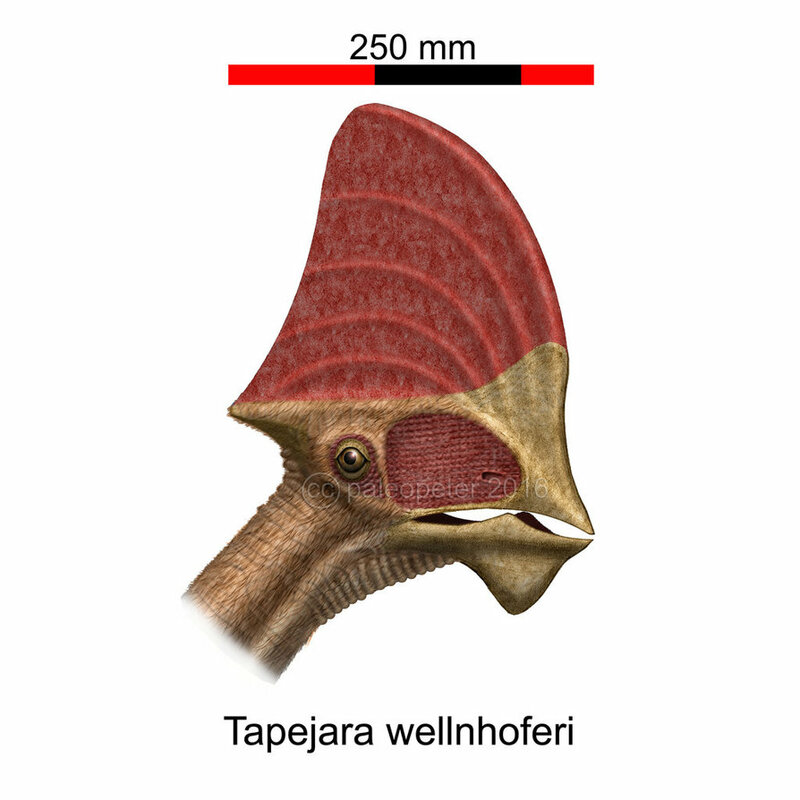 Tapejara was approximately 5 feet tall and had a wingspan of about 12 feet. 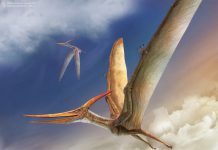 Like all pterosaurs, it had very lightweight bones that would have helped it maintain a trim weight of about 80 pounds. 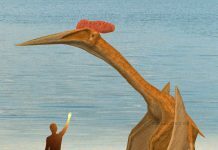 It also had an enormous crest on the top of its head – a crest that would have been brightly colored and used to attract mates. One thing is for certain, however. 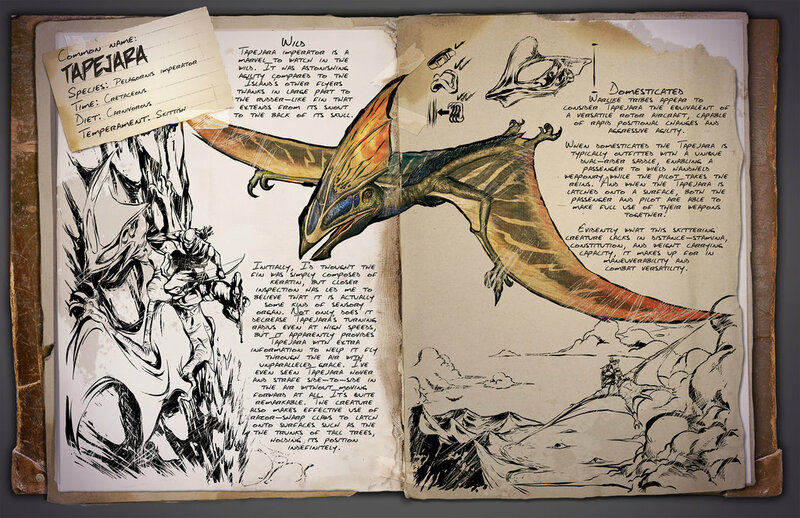 Its crest was not used for any purpose related to flying. 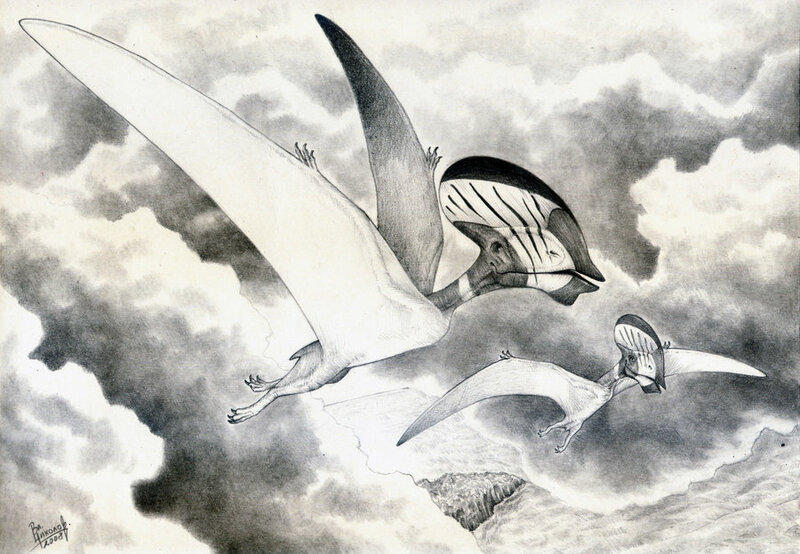 If that had been the case, then it is unlikely that so many pterosaurs would have so many different head crests. 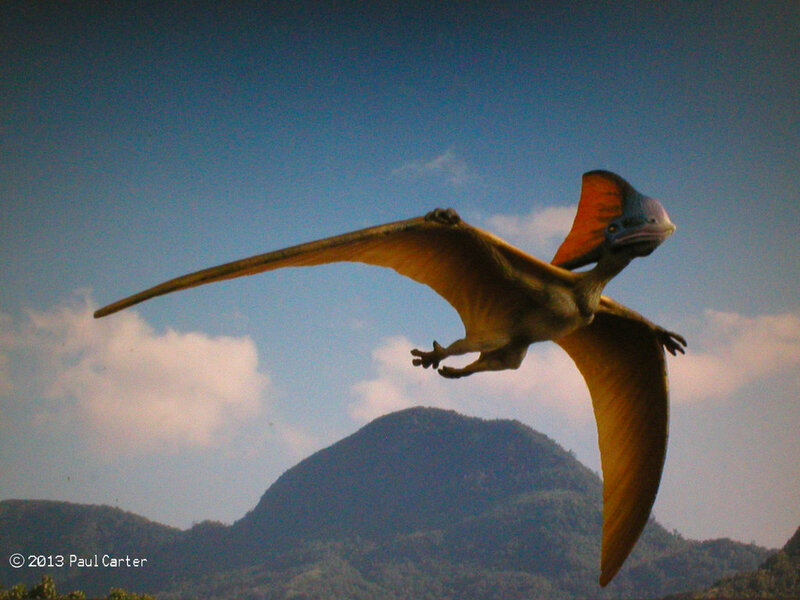 Most likely, there would have emerged just one or two different styles of head crests. 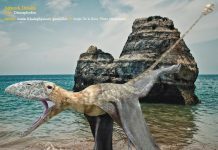 One of the most fascinating facts about Tapejara, however, is the fact that it had a downward curving beak that it probably used in much the same way a pelican uses its beak to scoop up fish from the ocean. However, not everyone agrees with that theory. 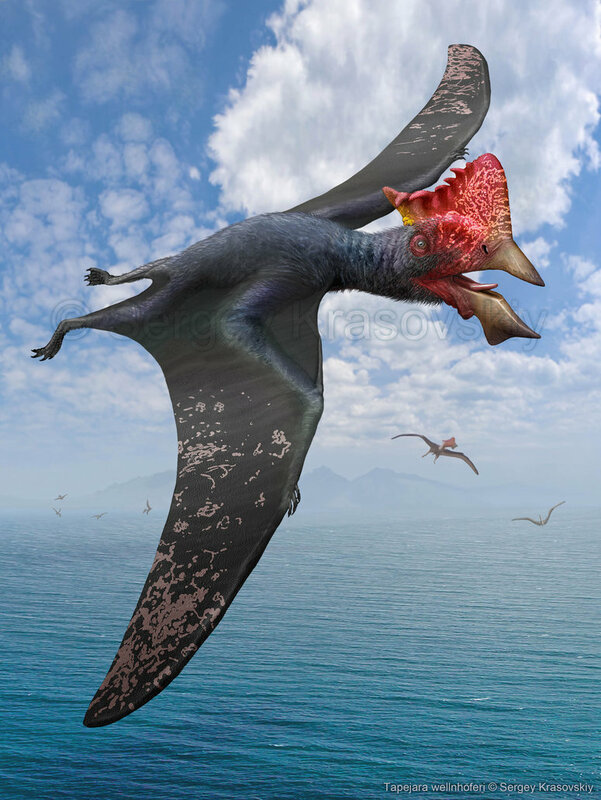 Some paleontologists believe that the curve of its beak was used to help it feed on the many different types of fruits which existed during this time period. 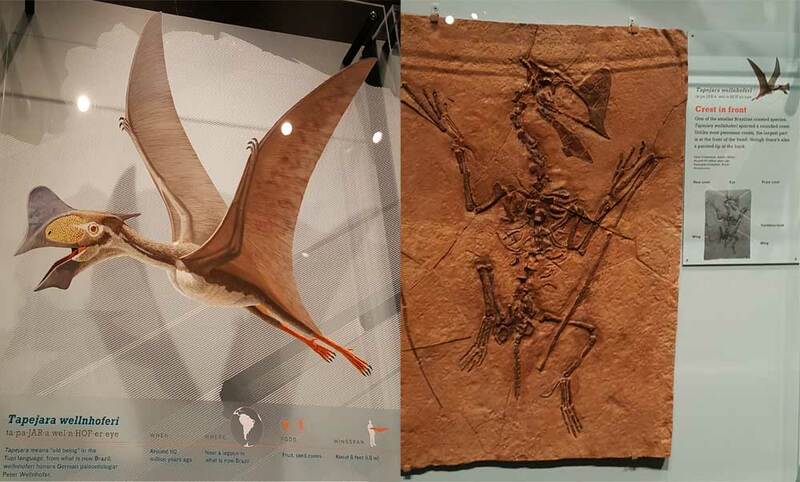 Still other paleontologists believe this pterosaur was a carnivore and scavenged for the carrion of dead animals.